Which material does the radome manufacturer use? You may be familiar with radomes since you enter into this page. But, do you know what they are usually made from? First of all, let us think about what the antenna radome is and what it’s used for. As we all know, radome is the compound word of radar and dome. Outdoor microwave or radar antennas are always placed in an open air. Also, storms, snow, ice, dust and solar radiation in nature can directly hit the radar antenna. As a result, it makes antenna precision reduction, shorter service life, and poor working reliability. Radomes are structural waterproof enclosures. Certainly, they protect the radar antenna from the effects of the external environment. Below are some advantages and disadvantages of radomes, which application including weather radar and satellite communications domes. First of all, to protect the antenna system from the impact of wind, rain, snow, sand and solar radiation. So, the antenna system performance is relatively stable and reliable. Furthermore, radomes reduce the wear, corrosion, aging of the antenna system, and extend its service life. Secondly, to eliminate the wind load and wind torque, reduce the driving power of the rotating antenna. Also, it can reduce the weight of the mechanical structure, reduce the inertia, and improve the natural frequency. 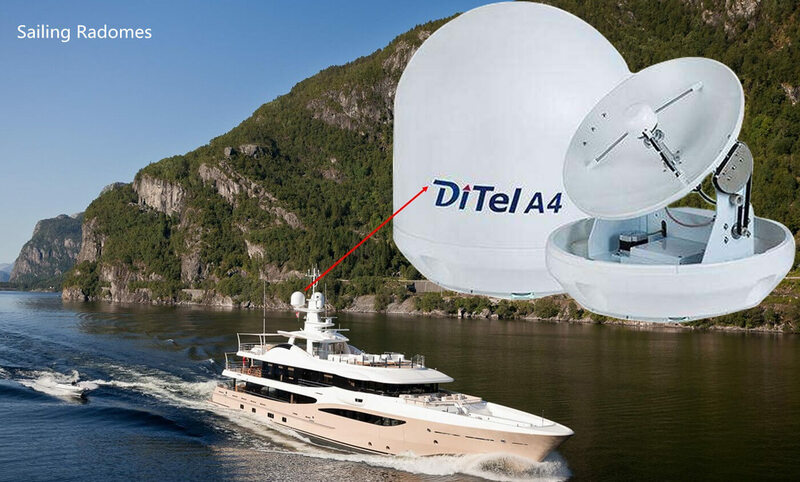 Thirdly, the relevant equipment and personnel can work inside the antenna radome. Therefore, they are free from the external environment. 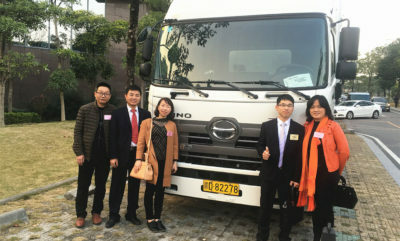 Another, it can help to improve the efficiency of the equipment and the custom manufacturing conditions of the operators. Finally, for a high-speed flying plane, aircraft radomes are helpful. They can solve the problems caused by high temperatures, aerodynamic load and other loads on the microwave antennae. Yet, radomes microwave are obstacles in front of the antenna. They absorb and reflect the radiation wave of the microwave or radar antennas. Also, they maybe change the free space energy distribution of the antenna system. To some extent, radomes affect the electrical performance of the microwave antennae. Reasons are as follows. First of all, the reflection of the radome wall and the diffraction of the uneven part may cause the radar antenna main lobe electrical axis to shift. As a result, it may generate an aiming error. Secondly, the radome’s absorption and reflection of high-frequency energy cause transmission loss. It will affect the antenna gain. 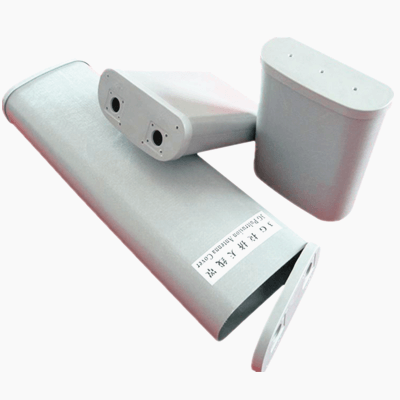 Even more, the antenna system noise temperature will increase while receiving. Thirdly, the radome can cause distortion of the antenna lobe. It seems like it causes the antenna main lobe width to change, the zero depth to increase, and the side lobe level to increase. Finally, the radome increases the construction cost of the antenna system. Hence, aircraft radomes are commonly used on aerocrafts, but not the ground radome. To meet the design requirements and the realization of functions, antenna radome should have these properties. On the one hand, it’s about precision composite structures, superior quality, long service life, etc. On the other hand, there are also some special requests of dielectric constant, mechanical properties and environmental resistance. The dielectric constant ε and loss tangent tanδ are core properties of radome material. First of all, loss tangent tanδ embodies the ratio that the antenna radome material transforms the electromagnetic energy through it into heat energy. As we all know, the higher the ratio, the greater the loss of electromagnetic energy and the more pronounced the temperature rise of the material. As a result, it further causes a decrease in dielectric and mechanical properties. The dielectric constant ε has a negative correlation with the permeability of the material. Thus, under the premise of satisfying certain mechanical properties, it is generally required that the ε and tan δ of antenna radome material should be as small as possible. What’s more, high-performance radomes need that ε is less than 3.5 (10 GHz) and tan δ is less than 0.006. They include tensile strength, tensile modulus, compressive strength, and compression modulus. And the raw material of high-performance radomes should meet these parameters requirements. They should be more than 400 MPa, 19 GPa, 350 MPa, and 18 GPa correspondingly. Radomes are applicable in many different environments. 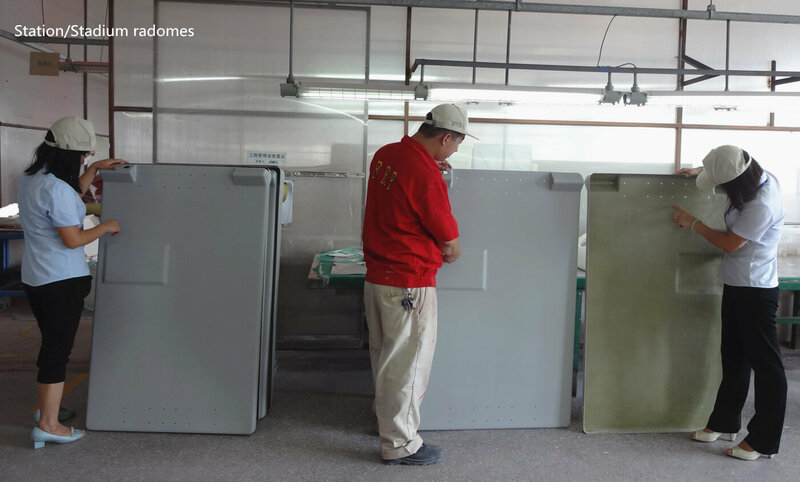 For example, high temperatures, low temperatures, alternating temperature humidity, salt atmosphere, molds and so on. Of course, radomes should work normally under these conditions. 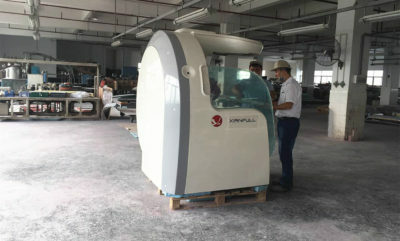 Thus, after the manufacture of the composite radome, it’s necessary to do radome testing. And choosing the most suitable antenna radome material. At present, radome’s reinforced materials include glass fiber, aramid fiber, quartz fiber, and polyethylene fiber. The performance comparison of various fibers is as follow. Aramid fibers have high strength and high modulus. However, aramid is easy to absorb moisture and affects dielectric loss. High modulus polyethylene fiber (Spectra 1000) has many excellent dielectric properties, advantages of low density, high strength, and high modulus. But, the interface between the fiber and the resin is poor, which affects the final performance of composite materials. In general, the traditional radome manufacturer uses glass fibers as the reinforcement material. 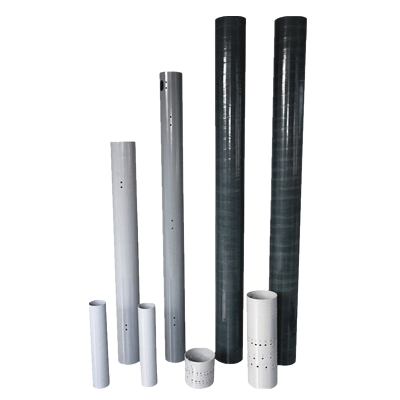 These fiberglass materials include E-glass, S-glass, M-glass, D-glass and so on. Among them, D-glass fiber has the best dielectric properties, but its mechanical property is poor. S-glass fiber has excellent mechanical properties and is widely used. The quartz fiber has the lowest tan δ, but its price is too high. Until now, some advanced radomes in the world start to use quartz fiber as a reinforcing material. 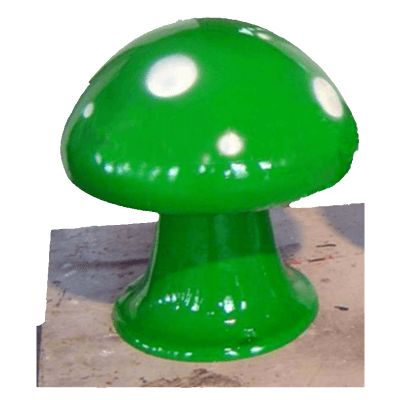 The resin matrix of radomes and their properties are as follows. Conventional resin substrates materials include phenolic resins, epoxy resins, and unsaturated polyester resins. Above all, the epoxy resin has excellent processability, adhesion, and excellent mechanical properties. Therefore, it is the most widely used resin matrix composite material. In recent years, performance requirements of radomes are continuously improving, especially advanced weather radar domes. Such as the whole frequency band, low dielectric loss, high-temperature resistance, and weather resistance. 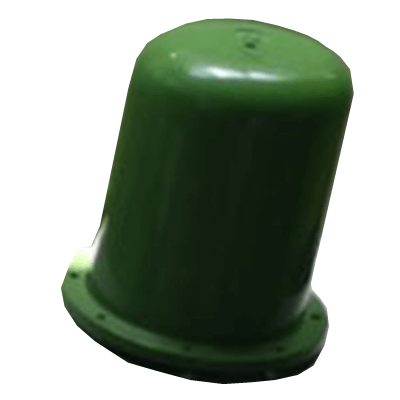 The radome needs to withstand harsher environments, especially in high temperatures environments. For radomes operating near 100 GHz, the dielectric constant and loss tangent of the resin matrix should be less than 3.5 and 0.006. Besides, it also needs to have excellent moisture and heat resistance. Yet, epoxy resins cannot meet these requirements at the same time. There are two methods to get high-performance composite material with better dielectric properties and environmental performance. For one, radome manufacturers can make it come true by modifying the traditional epoxy resin matrix material. For another, choosing some advanced resin substrates. Such as cyanate resin, bismaleimide resin, polyimide resin, etc. According to the cross-section shape of the radome wall, there are three types of radomes. Uniform and single wall structure, sandwich structure, and space frame structure. 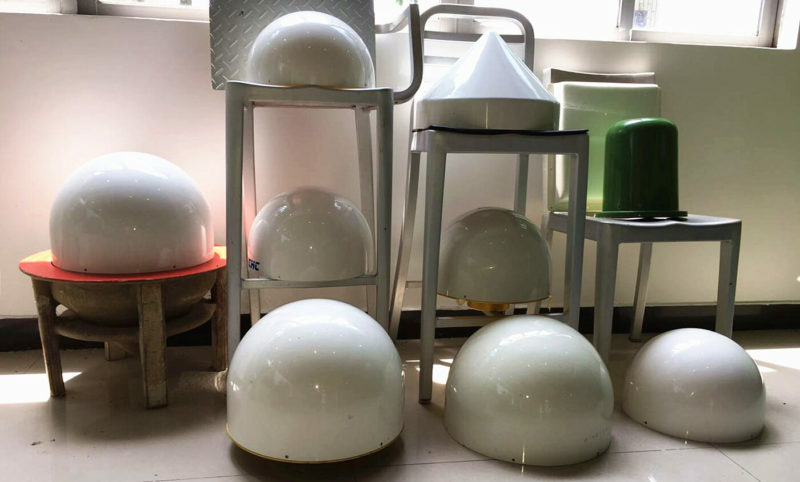 According to the forming method of the antenna radome, there are the ground radome is divided into an inflatable radome and a rigid radome. In general, the inflatable radome of the spherical geodesic is coated with a polyester fiber film of Heparin rubber or neoprene. 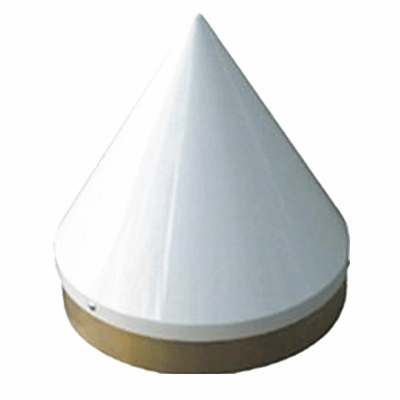 Rigid satellite communications and weather radar domes use glass fiber reinforced plastic. And the sandwich in precision composite structures is always a honeycomb core or syntactic foams. Aircraft radomes use fiberglass reinforced plastics, ceramics, glass-ceramics, and laminates. Most composite products manufacturers provide antenna radomes, including FRP manufacturers such as DOFRP. Because radomes use composite materials. 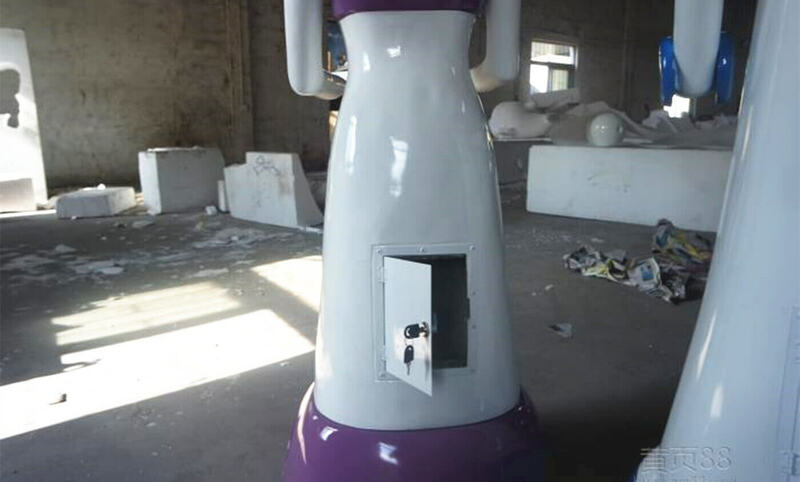 DOFRP is a Sino-Japanese manufacturer of fiberglass. And we have been providing cost-effective composite radomes for over 20 years. 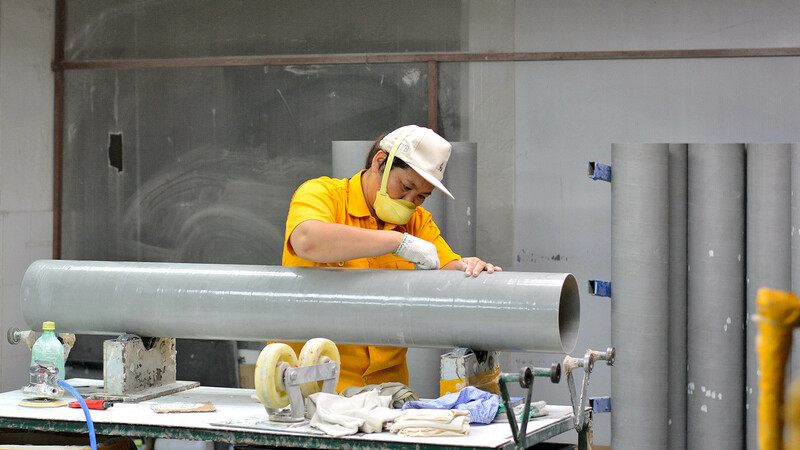 The custom manufacturing process we use is the composite layup, resin transfer molding, and pultrusion. 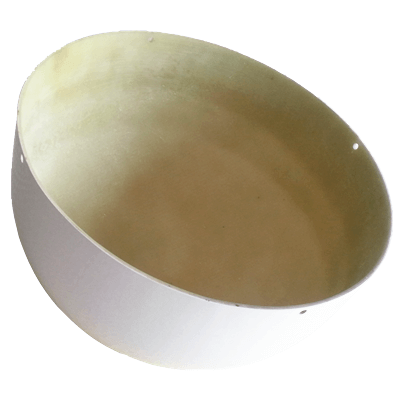 The materials we use also include UV grade abs korad capped abs for the radome cap. Also, manufacturing testing can be provided, such as transmission loss, mechanical vibration, and thermal cycling. DOFRP can provide carbon fiber products as well. If you want to buy fiber-reinforced polymer products cost effectively, our engineers are always glad to help.